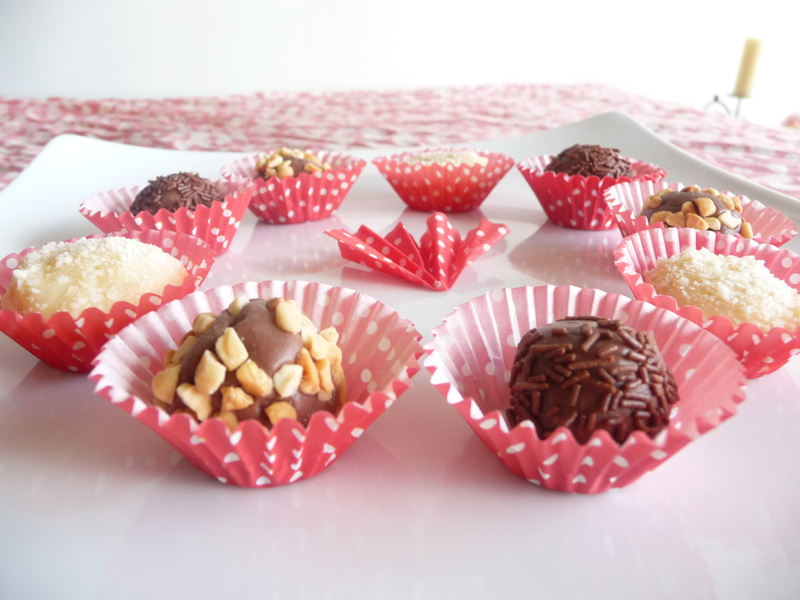 Brigadeiros are Brazilian truffles and are so pretty and easy to make. You just need a little patience in the first part of making it but it’ll be smooth sailing from there. They’re mainly condensed milk so they’re full of sweet sweet sweeeeeeeet goodness. 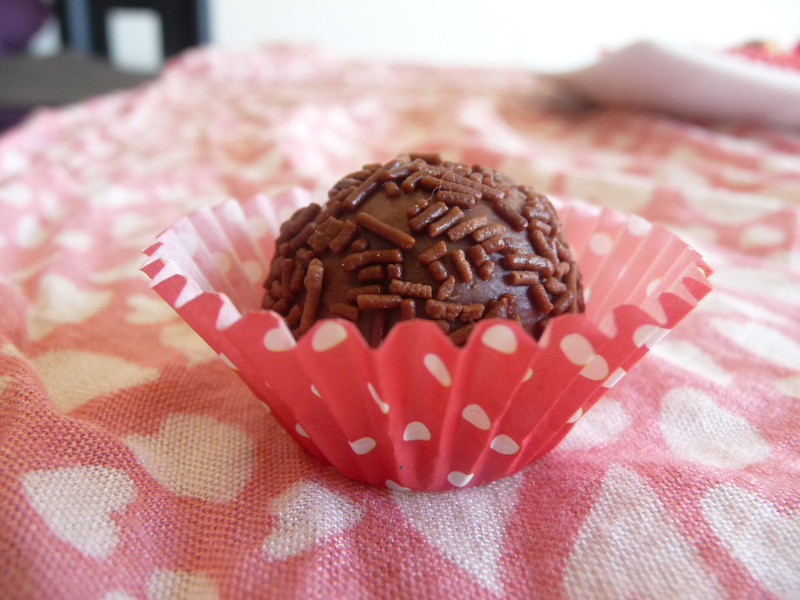 I got the recipe for brigadeiros from one of my fave food blogs, Dulce Delight. 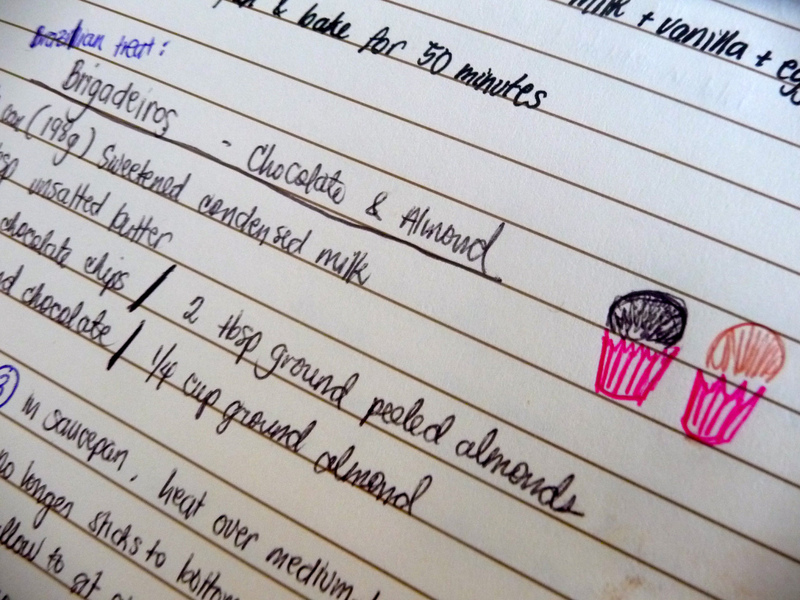 It’s such a beautiful blog and Raiza makes quirky, detailed awesome videos for making the recipe. 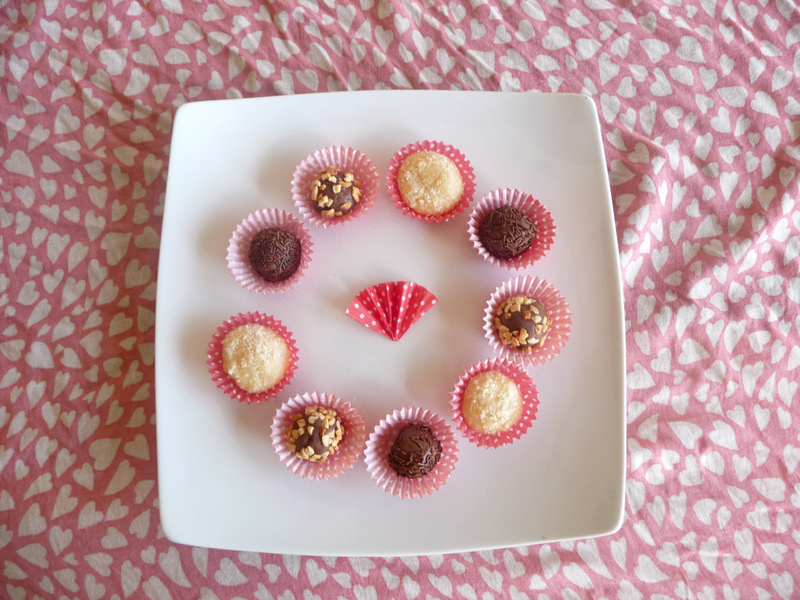 The first one is the chocolate one which I rolled over chocolate sprinkles. 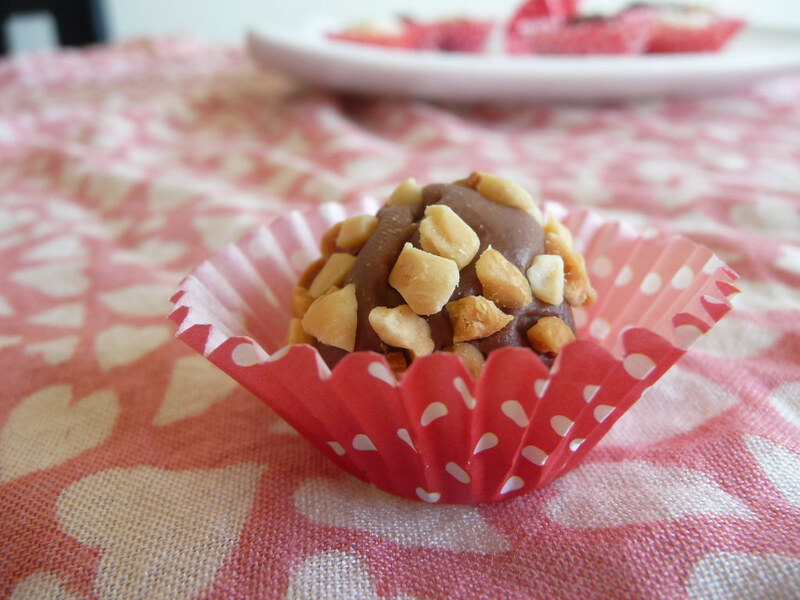 The second one, not really a traditional looking one but it’s chocolate as well which I rolled in chopped nuts (my mom loves nuts haha, I’m a little nuts too). 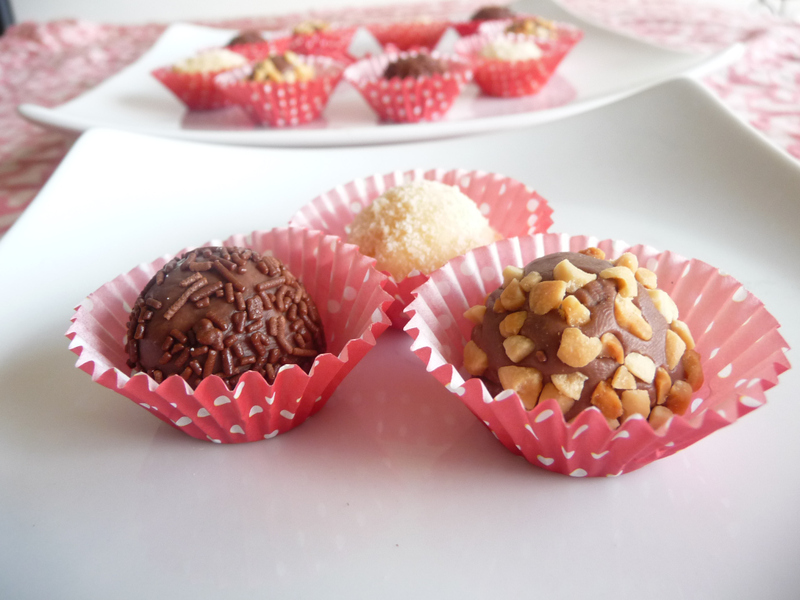 The last one is the almond brigadeiro rolled in ground almonds. Mmmmmmm…. 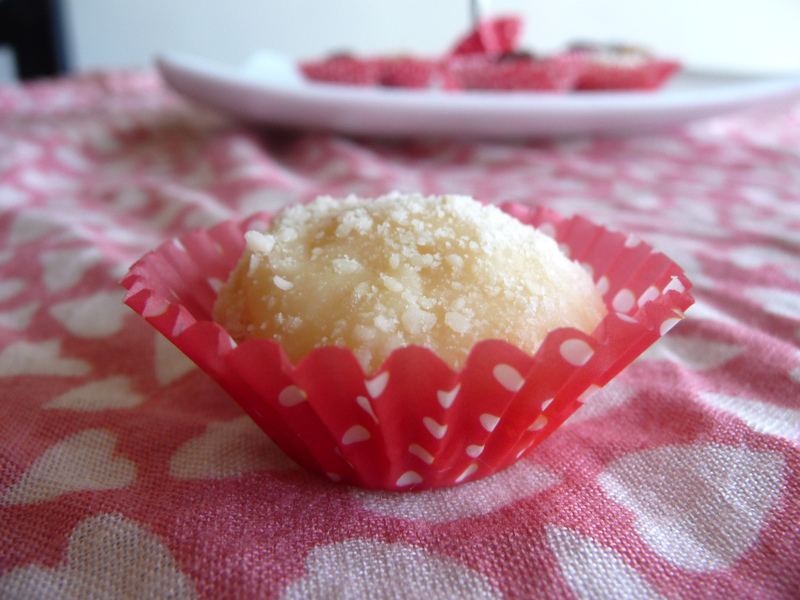 The only negative thing I can say about brigadeiros is that they disappear too quickly. As I was taking pictures my dad was already ready to grab them. I took tons of photos just because I was so excited that the sun was brightly seeping through our windows. I actually made them last night but the lighting was so bad I had to wait til morning haha. 2. Transfer this to a plate and let it cool for 1 and 1/2 hours. 4. Take 1/2 teaspoon of the cooled mixture and roll it into a ball then roll onto toppings. Place them on mini cupcake liners. Have fun making and eating them! how many does this recipe make. Looks delicious! I’ve never heard this name but now I want to make them. Thanks!